The ARFC Women had their first foray into the newly designed BC women’s league as they hosted the Capilano top side and the women had a tough first go as the Caps signaled their premier credentials by posting a big score on the newly promoted ARFC women. Abbotsford head coach, Doug Primrose is optimistic about the season as numbers have been high at training, some new faces have arrived to add to an excellent, young core. The women take on Bayside in South Surrey next week. Much like the Surrey game report noted, Abbotsford RFC men have been searching for that perfect day when all of the registered or prospective players finally make it to training to begin the season. 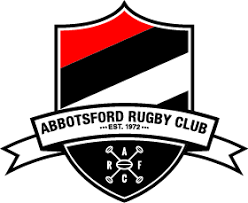 Despite that, numbers have improved with the goal of re-establishing the Abbotsford RFC having 3 men’s teams taking the field every Saturday. Last year was a tough go for the ARFC div. 2 squad as they battled it out all season and only came up with a handful of wins. This year, the teams has benefitted from the return of some “seasoned veterans” and some talented players who are now making their ARFC debut after some time away. The first half saw Abbotsford score first through flanker, Josh Radons before Surrey and their forward pack stormed back to put three consecutive tries on Abbotsford. Before the break, Abbotsford was able to score a nice solo try from young fullback, Braeden Verleur who fielded an errant kick that was gobbled up and after some nice footwork was able to score to keep Abbotsford close. The second half saw Abbotsford continue with their comeback and saw some nice tries through Radons who had two more tries, Israelson, and Slomski who came off the bench. Coach Chalmers noted that a veteran presence in the 9-10-12 axis was vital in steadying the ship for the mostly young Div.2 squad. Chalmers also noted that a full bench was key in continuing the comeback for the 2s (something that was not a luxury for the 2s last year). At final whistle, the score ended up 34-27 in favour of the Div. 2 Abby squad. Josh Radons having scored 3 tries was the man-of-the-match. Next week the Div. 2 men have a bye. Abbotsford and Surrey is a classic matchup and on Saturday nothing much changed as both teams played a great match of rugby in honour of Trent Bourke. The division 1 team had a season last year that didn’t meet the clubs high expectations. This year, the process of rebuilding the club into a perennial contender continues and the start at training and in the first game has been positive. The scoring started with a snipping try by scrum-half, Carter Miller who had a fine game on debut for the senior men. Surrey was able to make a quick reply after some Abbotsford mishandling and the game ebbed and flowed like that throughout the match. Abbotsford scored, Surrey countered with their own. Abbotsford scored a beauty of a try after centre, Brian Chin knifed through the Surrey backline, following a few phases, Abbotsford flyhalf, Connor Hunter stepped his way under the posts. Surrey came right back, and after some excellent phase play, scored to level things up. The second half saw Abbotsford’s Polish Prince, Konrad Rybowski score after a quick tap penalty was taken by Carter Miller. Another try by Abbotsford’s Noah Jensen was replied by Surrey with tries and a couple penalties. The last five minutes saw Surrey protect their lead by grinding out multiple phases for the close win 30-28. Not the start Abbotsford wanted for their season, but a platform to build on. So many breaks weren’t finished by the Abbotsford men, meanwhile, Surrey was able to build their phases and when they had their chance, they took it. Congratulations to Surrey for the victory as they take the inaugural Trent Bones Bourke memorial trophy. Thanks also to the Surrey club for their excellent showing at the Abby clubhouse post-match. Div 1 host Cowichan next week. Saturday was a special day for both clubs as they honoured Trent “Bones” Bourke. Trent played union with Ridge Meadows and Abbotsford and as well, suited up in Rugby League with Surrey before helping start up the Abbotsford league team. A moment of silence was observed by both teams and everyone spent the day reflecting on the club man that Bones was. Always accepting, and generous, the rugby community could use more of these people. The Abbotsford Rugby Club would like to thank everyone that came down to the field Saturday and to everyone who enjoyed a beer at the clubhouse afterwards.